Welcome to the Ymir BC Web site. Ymir is a small town in the West Kootenays in British Columbia Canada. The population is around 230 people. Ymir was a booming mining town in the late 1800’s, with many hotels and a very modern hospital. The earliest miners in the area arrived in 1860’s when mining claims were recorded on Quartz Creek. In 1885, the Hall brothers and their group prospected on Wild Horse Creek. The Nelson and Fort Sheppard Company laid track through the Salmo River Valley in 1893, linking the United States with the Kootenay goldfields. The Ymir mine was first staked in 1895 and by 1896, the Dundee, Tamarack, Porto Rico and others were staked as well. 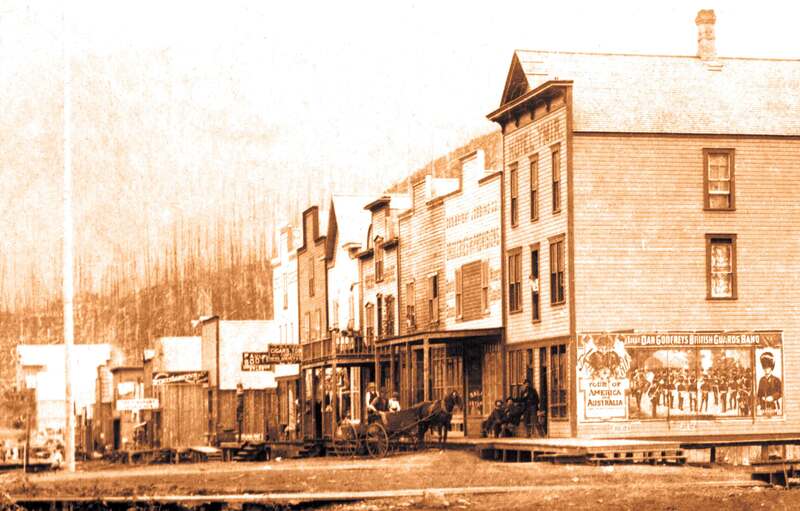 In 1897, three Rossland businessmen filed claim to 620 acres in the area surrounding Quartz Creek. Within two weeks, the land was surveyed, lots were sold and the roots of the town of Ymir were created. The image gallery is in the process of being populated with historic photographs of Ymir and the outlying areas. Please contact me if you have images that you would be willing to post on the site. If you see an error, or can add information regarding a particular image please let me know. The more information we can piece together the better! Doug Taylor has been collecting photographs over the past number of years and he is in the process of scanning them, while Charla is preparing the images for posting and uploading them into the new gallery. Together we will try to post the information the we have about each image. There are also a number of documents that have been scanned in from the Ymir Arts and Museum Society that Charla is trying to get up on the site. Uploaded most recently are the Ymir Polling Division Lists from 1937 (pdf document) and the Ymir 1899 report from Wrigley’s BC Directory from Vancouver. The Quartz Creek Miner Newspaper that was printed to commemorate Ymir’s 101 Reunion has been scanned and added to the History page. The newspaper is available for download for both print and screen reading, and for people on dial-up. Also available on the History page is a 20 minute video on the history of mining in the Ymir area.